“Gentle, playful and friendly”. That is how Hamilton Zoo Keeper Delwyn Crombie described young red panda Tenzing – and that is certainly the experience we had when we took care of him during his transfer to Tasmania Zoo. Born at Hamilton Zoo, Tenzing is three years old. From six weeks he was supplement fed, due to difficulty competing for his mothers milk with his much bigger twin sister Jamuna. Although he remained with his mum, Tenzing became a very friendly animal through regular contact with his keepers and became an ambassador for the red panda species. 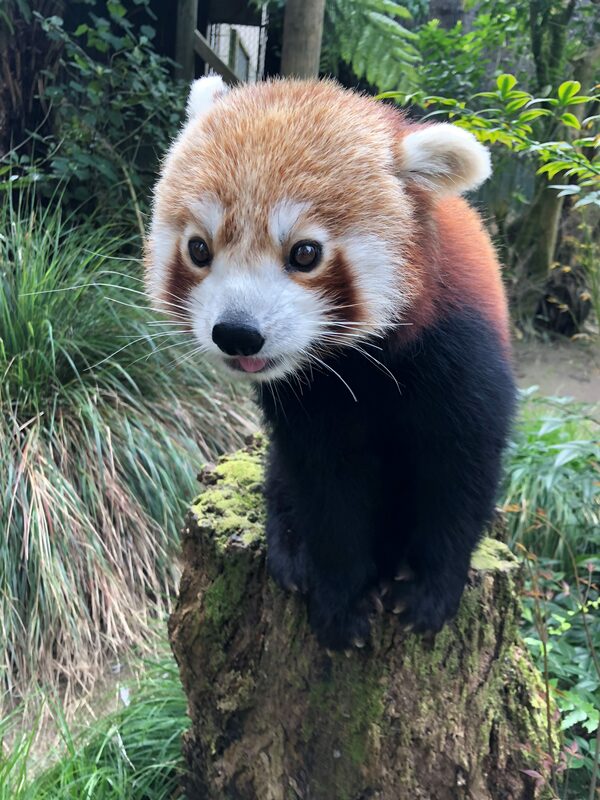 Tenzing’s latest adventure saw him transfer to Tasmania Zoo as part of the breeding program to continue the conservation efforts for the species. 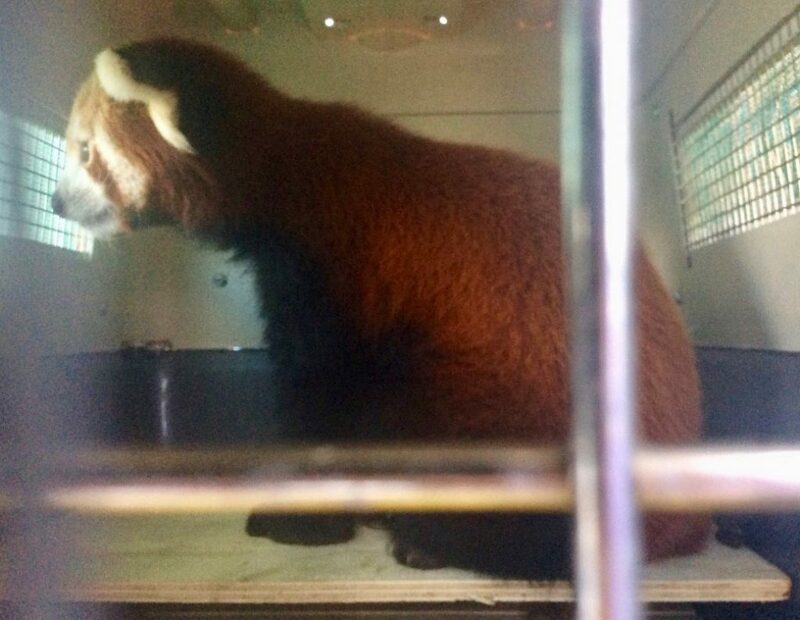 On transfer day, Tenzing was well prepared and hopped into his travel crate remaining calm and relaxed. He travelled from Auckland to Melbourne where he enjoyed refreshments from a Jetpets Pet Handler during his stop over before continuing to Tasmania. As you can see in the photo, there is no doubt Tenzing’s imagination would have been running wild as he enjoyed watching the world around him on the journey. Tasmania Zoo is a privately owned, local family-zoo situated 18kms from Launceston. They are dedicated to continuous contribution to wildlife conservation and to the education of the community at large. Tasmania Zoo exhibits the largest collection of rare, exotic and native species in Tasmania, and with their newest addition Tenzing, is definitely worth a visit if you are in the area. You can find out more by visiting their website here.